Are you just starting your business and you need to save money, don’t want to reveal your home address, use a PO Box and want to be seen as a legitimate business? Well, The Virtual Office concept may be the answer for you! The virtual office concept is popular with small business owners, startups and entrepreneurs because the venue offering the Virtual Office maintains a business address and mailbox so you don’t have to. No more PO boxes for your business. Saving money is key for small business and avoiding the costs of maintaining an office saves a lot. Don’t you hate it when prospect view your “Office Location” on Google Maps, and it’s clearly a UPS Store of Fedex Office store? According to Wikipedia “A virtual office is part of the flexible workspace industry that provides businesses with any combination of services, space and/or technology, without those businesses bearing the capital expenses of owning or leasing a traditional office. While Virtual office services are varied depending on the venue, many provide the use of a professional business address, phone answering services, conference room access, printing services (scan, copy,print) and the use of a locker to name a few. The costs are varied and are dependent on your business needs. Many coworking spaces offer Virtual Office options and tend to be less expensive. 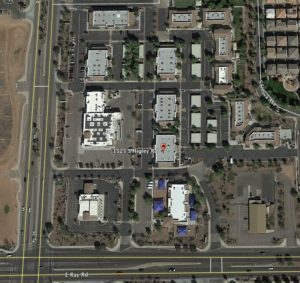 The Works – Gilbert provides a Virtual Office option. We provide a business address for receiving mail (no need to be a member for this service). Services includes picking up your mail daily and letting you know via email or phone when it arrives. Once we receive your mail it will be kept in a locked room for safekeeping until you pick it up.